Blessed with German silver, this particular glass has got a unique shape and carving to it. The polished surface of the glass has an engraved Read More..exterior resembling petals and flowers. 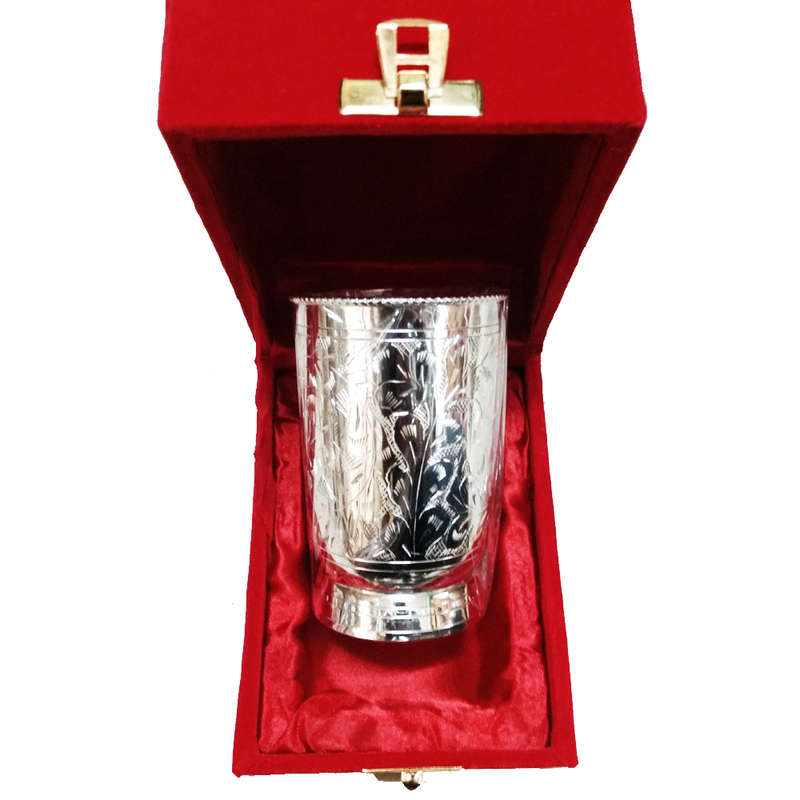 The glass has a slightly tapered bottom which comes all decked up in a red velvet box. Show Less..